If you liked Plum, you will like Vestito as much. Vestito is the dressier version of Plum, which makes it perfect for career women who want to double up on style - whether it be a workday or a weekend. "Working in the corporate world, it was a struggle to find a dress that I can wear on both a weekday and a weekend that was within my budget. I couldn't find dresses with classic and clean silhouettes that could take me from the office to the occasional dress-up lunches and dinners." shared Angela Operana-Batoon of Vestito. And with that, she decided to make her own dresses. With the encouragement of friends and colleagues who all loved her designs, she decided to venture out with her own line of clothes, with a mind to make it perfect for both work and play. While she has separates as well, dresses are VESTITO's specialty. "I have always liked wearing a dress to work simply because to me it’s the easiest! It’s just one piece of clothing, I throw in bold accessories, a YSL bag and shoes to match and I’m off to work. When I change my shoes to ballet flats or nice metallic sandals, then I’m all set for Saturday brunch. It’s a great solution when you have a shopping budget to work with." Angela explained. 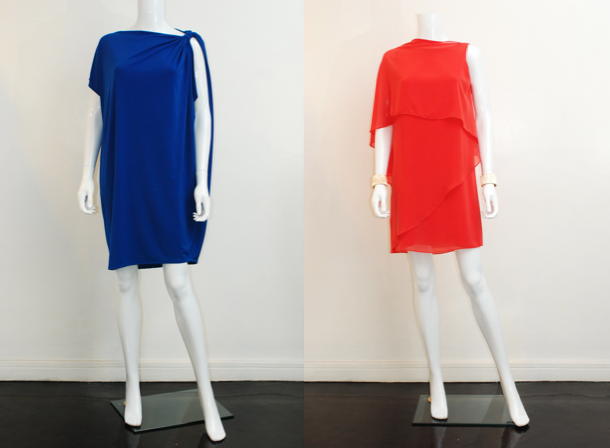 Vestito dresses are simple yet chic, and all it takes is a change of accessories and the dress gets a whole new look. "It’s frustrating when you have to prioritize; do I buy a chic weekend dress, an office appropriate get up or something dressier for my special night outs? I hope with this line, fewer women will have to worry about these sorts of problems.” Angela stressed. Vestito is available at The Ramp at Crossings, Shangri-la. Price points range from Php1,100 to Php3,500. For updates on Vestito, LIKE their Facebook Page. Hi. Do they sell online?